The terrain of Dinosaur Island. Dinosaur Island terrain displayed in false colors. 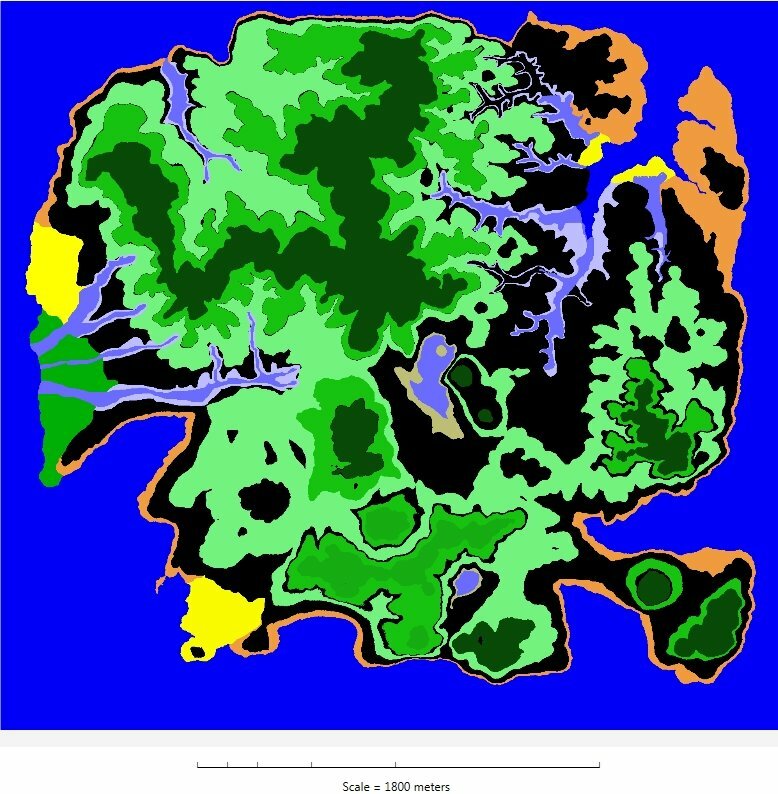 Above is a view of Dinosaur Island with the different terrain types displayed in vivid or ‘false colors’. Below is a view of the same terrain types displayed as a transparency over the elevation map of the island. The terrain of Dinosaur Island displayed as a transparency over the elevation map. 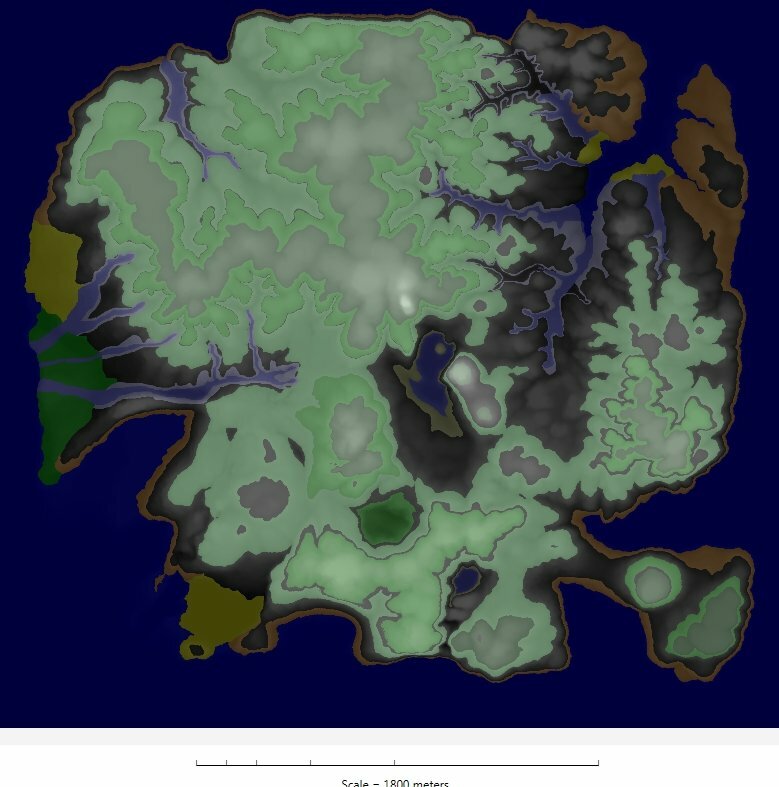 The color legend of the different terrain types is at left. This is exciting news! Well, it is for us on the team because it means that we now have the tools to rapidly create islands and ‘paint’ with the different terrain types. This should be exciting news for you, too, because this means that users (like you) can create your own Dinosaur Islands, too! We will be adding the interface so we can start ‘planting’ vegetation around the island. Every plant grows only in certain terrains. Now you know why we had to create the ‘terrain map’ of Dinosaur Island first. You know what happens after we add the plants? We start adding the dinosaurs that live on the plants!